The story of William "Bill" Lellis, Larkspur Fire Department Chief, retired. Biography coming soon. (l-r) Irwin 'Willie' Wilson, William 'Bill' Lellis, Craig Shurtz, Arthur 'Bud' Wedemeyer, Gordon 'Gordy' Bell, Clive Coverdale, Ranger Benz, Chief George Bartram. 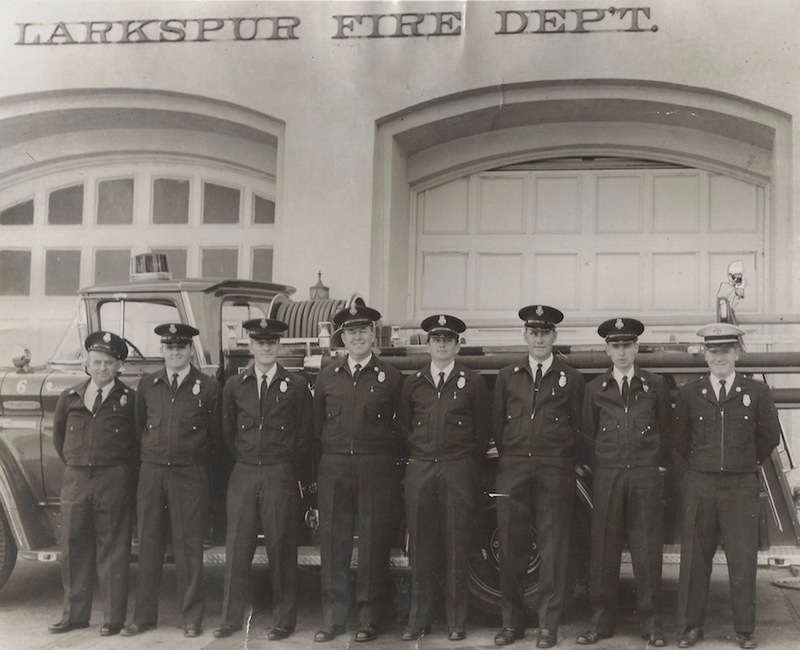 This group photo of the Larkspur paid firemen was taken in the early 1960's in front of the main station in downtown Larkspur, and in front of Squad 6. Larkspur Asst. 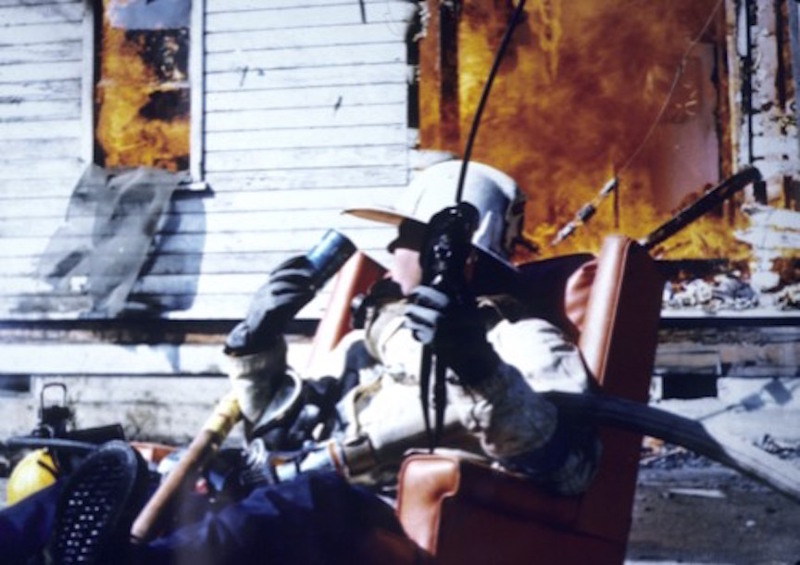 Fire Chief, later Chief, William "Bill" Lellis poses in front of one of the old Hutchinson Quarry buildings being burned down for training in Greenbrae near San Quetin Prison the late 1970's, in preparation for the new Larkspur Landing Shopping Center development.